Looking for a summer camp that will teach your children the value of respect, work them physically and intellectually, and keep them engaged every day? Then you've come to the right place! The Shaolin Kung fu Institute Flemington is proud to present its inaugural Young Dragons Summer Camp! Open to children ages 7 to 12, the Young Dragons Summer Camp offers kids the chance to learn a legitimate self-defense art as well as having fun in a safe environment supervised by a certified teacher with over 17 years of teaching experience. A unique outdoor space for activities like water balloon fights, freeze tag, running and Kung fu lessons! 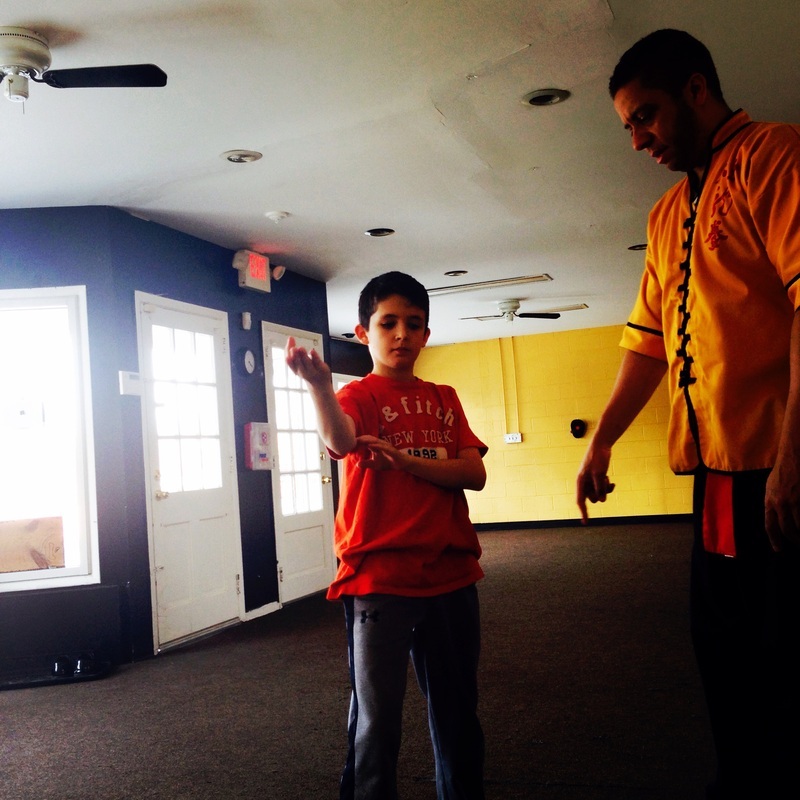 Why Choose a Kung fu Camp? Learning Kung fu develops not only physical aspects like strength, balance, and coordination, but the mental focus necessary for tasks that extend far beyond the Kung fu training hall and into daily life. Kung fu will also develop social traits like respect for classmates, teamwork, and other character traits. 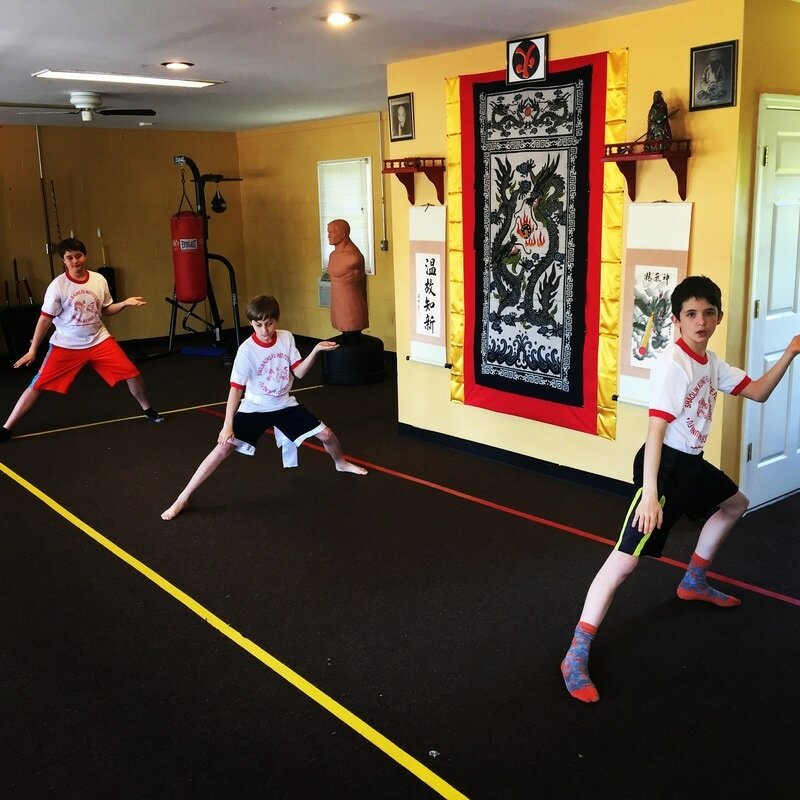 During Kung fu classes campers will learn the basics of Northern Dragon Kung fu self-defense. They will work individually and pair up with a partner for paired exercises. By the end of a two week session, campers will be able to block, strike, and move as a Kung fu stylist should! SESSION 1: July 3 - July 7. SESSION 2: July 10 - July 14. SESSION 3: July 17 - July 21. SESSION 4: July 24 - July 28. Camp sessions begin at 8:30 am and end at 12:30 pm with parent pickup from 12:30 - 12:45. A half-hour for snack time is built in to the schedule. Campers should wear loose-fitting sweat pants or shorts and their Young Dragons Summer Camp t-shirt, and bring a towel in the event that we engage in water balloon or squirt gun activities. All campers will receive a Young Dragons Summer Camp t-shirt!